Rachel Morgan has fought and hunted vampires, werewolves, banshees, demons, and other supernatural dangers as both witch and bounty hunter-and lived to tell the tale. But she’s never faced off against her own kind . . . until now. Denounced and shunned for dealing with demons and black magic, her best hope is life imprisonment-at worst, a forced lobotomy and genetic slavery. Only her enemies are strong enough to help her win her freedom, but trust comes hard when it hinges on the unscrupulous tycoon Trent Kalamack, the demon Algaliarept, and an ex-boyfriend turned thief. I was sucked in to this book of Rachel Morgan’s journey in The Hollows Series like a leaf into a tornado! Mesmerizing. I couldn’t put it down! Really, I carted my book around like it was an extension of my hand for two days until I finished it. Rachel goes through and grows through a whole heck of a lot of inner turmoil and outer ones as well. I don’t want to give away any spoilers, but I laughed, I cried, I cringed, I fell in love with the characters all over again! So many awesome characters: Rachel, Ivy, Jenks, Biz, Al, Pierce, Trent, Lee, and just as many excellent villans: Nick, Brooke, Vivienne, Oliver, and Newt. Ahhh… I wish I had time to read it again right now. Yes, it was that good! Find out more about Kim Harrison and her books at her website. “Rachel Morgan has fought and hunted vampires, werewolves, banshees, demons, and other supernatural dangers as both witch and bounty hunter—and lived to tell the tale. But she’s never faced off against her own kind . . . until now. Denounced and shunned for dealing with demons and black magic, her best hope is life imprisonment—at worst, a forced lobotomy and genetic slavery. Only her enemies are strong enough to help her win her freedom, but trust comes hard when it hinges on the unscrupulous tycoon Trent Kalamack, the demon Algaliarept, and an ex-boyfriend turned thief. “There were many staff at Kensington Palace, fulfilling many roles; a man who was employed to catch rats, another whose job it was to sweep the chimneys. 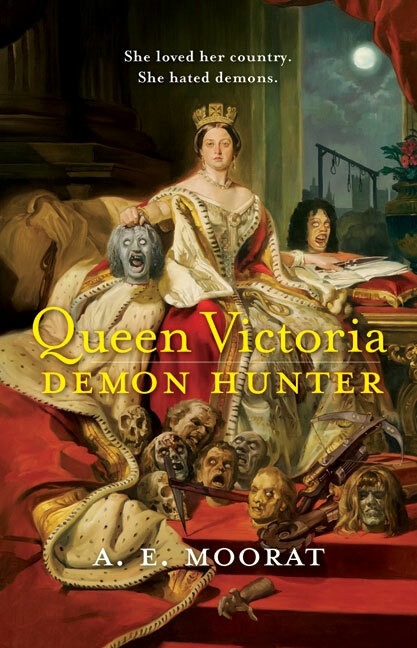 That there was someone expected to hunt demons did not shock the new Queen; that it was to be her was something of a surprise. London, 1838. Queen Victoria is crowned; she receives the orb, the scepter, and an arsenal of bloodstained weaponry. If Britain is about to become the greatest power of the age, there’s the small matter of the undead to take care of first. Demons stalk the crown, and political ambitions have unleashed ravening hordes of zombies even within the nobility itself. “For years, the Trader cities valiantly battled their enemies, the Chalcedeans. But they could not have staved off invasion without the powerful dragon Tintaglia. In return, the Traders promised to help her serpents migrate up the Rain Wild River after a long exile at sea-to find a safe haven and, Tintaglia hopes, to restore her species. But too much time has passed, and the newly hatched dragons are damaged and weak, and many die. The few who survive cannot use their wings; earthbound, they are powerless to hunt and vulnerable to human predators willing to kill them for the fabled healing powers of dragon flesh. But Tintaglia has vanished and the Traders are weary of the labor and expense of tending useless dragons. The Trader leadership fears that if it stops providing for the young dragons, the hungry and neglected creatures will rampage-or die along the river’s acidic muddy banks. To avert catastrophe, the dragons decree a move even farther up the treacherous river to Kelsingra, their ancient, mythical homeland whose mysterious location is locked deep within the dragons’ uncertain ancestral memories. Contest is open to USA only and will run through February 21st until 11:59pm. The winners will be posted here on Feb 22nd. Please leave your email addy in your comment for me to contact you if you’ve won. If I haven’t heard back from the winner in 7 days, a new winner will be drawn from the eligible comments. Winners will be chosen by a random number generator. Good Luck everyone! Late again, that’s me! Sorry, the day got away from me. Without further delay… the random number generator picked #1, Crystal B! Please send me your snail mail addy at sidhevicious@shaw.ca so I can forward it to Amanda Ashley. I’d like to thank Amanda Ashley for supplying the signed copy of her book, Night’s Pleasure, to the winner. 🙂 Also, a huge thanks to all the entrants. If I don’t hear back from the winner in 5 days, I’ll be drawing a new winner. Adrian Phoenix’s, A Rush Of Wings is now available in mass market, so now you have no excuses to go out and buy a copy! It’s the first book in The Maker’s Song series. Anton Strout’s, Deader Still was released yesterday. Simon Canderous’s adventures continue in this, the second book in the series. Mark Henry’s, Road Trip Of The Living Dead is also now on the shelves. Amanda Feral continues her tale in this second installment of the series. 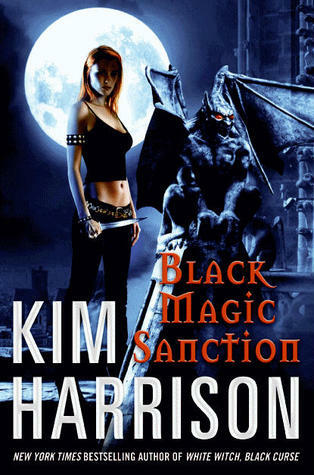 Kim Harrison’s – White Witch, Black Curse has finally hit the shelves! 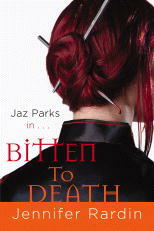 Rachel Morgan’s adventures in The Hollows continue in this, the 7th book in the series. “Jaz Parks here. My latest mission has taken me to the ancient Greek city of Patras; but instead of soaking up its splendor, I’m here to infiltrate a Vampere Trust. Only two vamps have ever escaped the tightly bound communities and lived to tell the tale: Edward “The Raptor” Samos, the most reviled criminal mastermind in recent memory, and Vayl, the CIA’s number one assassin who also happens to be my boss. The Raptor is trying to take over Vayl’s former Trust. Unfortunately the Trust’s new leader has her own plans. 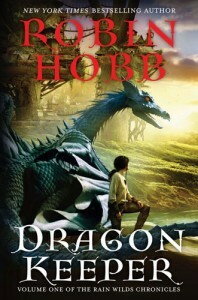 These books can be read as stand alone and you will have no problems following the story, but It’s also much more gratifying if you read from the first book because you’re that much more invested in the characters. That’s just my opinion though. 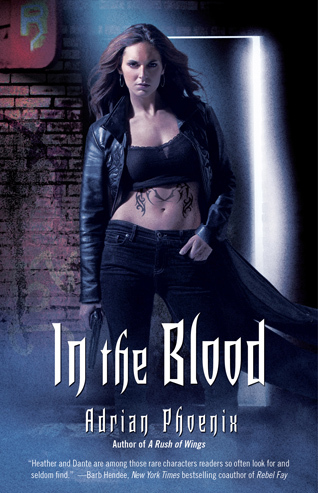 Here’s the awesome cover of Adrian Phoenix’s second book IN THE BLOOD, which is being released December 30th, 2008 according to Amazon and Chapters. Put it in your wishlist’s or pre-order it, I have! In other news, I’ve just heard that Kim Harrison, author of The Hollows/Rachel Morgan books, has a new Young Adult book coming out in May 2009 called ONCE DEAD, TWICE SHY. You can get a taste of it in the Prom Nights from Hell anthology. I can’t find a cover for it, but will keep you all updated as I find out more. AMBERKATZE is having a contest to win a copy of Jocelyn Drake’s Nightwalker. VAMPIRE WIRE is having a contest to win a copy of Carolyn Jewel’s My Wicked Enemy. And last but not least, you have until Friday, Aug. 15th to ENTER my contest to win a signed copy of Rachel Caine’s Gale Force!